Super color on its head and neck. I've said it many times that I think mallards are among the prettiest ducks! Terrific shot...love the description that this is a "dabbling" duck...not sure of the exact meaning, though! 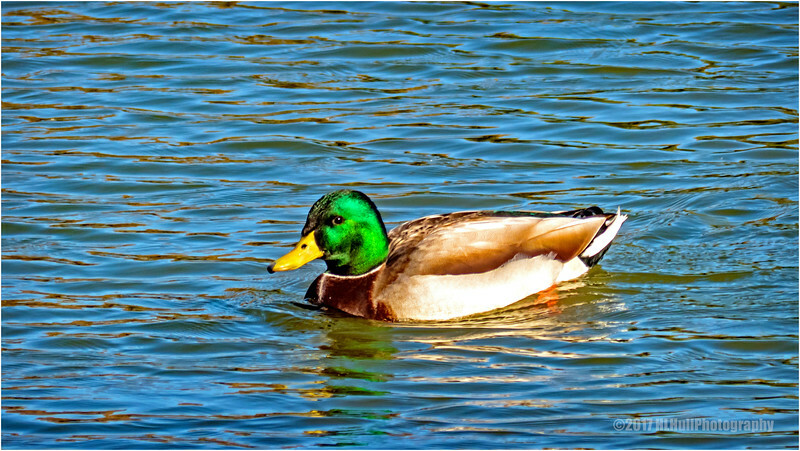 Mallards are common enough in our parks, it seems we don't really notice them much. They really are very beautiful with all their colors.